The Christmas season is once again here and around the world, people who celebrate this festival are making their homes look festive and (informal) Christmassy by putting up decorations. 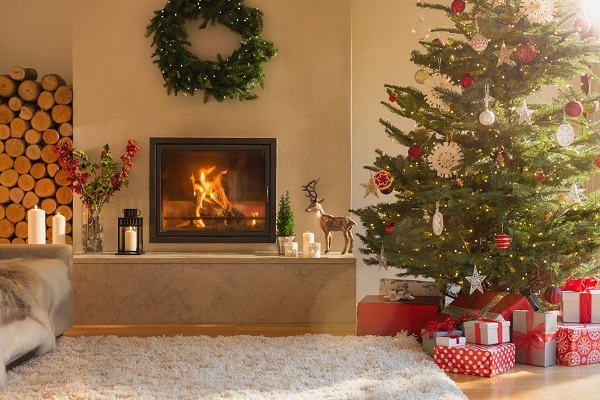 In the past, Christmas decorations were usually quite simple – a Christmas tree hung with a few familiar ornaments that would come out year after year from a dusty box in the attic. Paper chains might be hung along the wall and an empty stocking or two for Santa placed hopefully by the fireplace. Christmas cards would be displayed on shelves and windowsills. Nowadays, for many of us, there are more decorative options. For most people, the decorative centrepiece of the Christmas season is still the Christmas tree itself (real or artificial) which we might decorate or (US) trim with any number of different items. Baubles (=ball-shaped decorations) are still a popular choice. Some people like a themed tree with decorations in a limited number of colours – red and gold, for example. Other people take a more relaxed approach, hanging ornaments in a range of colours and styles. Many of those ornaments will have been store-bought, but one or two might have been lovingly created by a small child in the family. They may take the form of stars, angels, reindeer, presents, Santa Claus or snowflakes. Some people add extra sparkle to their tree by draping it with tinsel (=a long string of shiny material). Most people put some form of fairy lights (=small electric lights on a string) around the boughs of the tree. If they’ve had those fairy lights for several years, they’ll hope that they’re still working this year! Away from the tree, people might hang a wreath (=arrangement of leaves in a circular shape) on their front door. Wreaths are usually made out of holly or branches from a fir tree as we associate these evergreen plants with Christmas. Another popular plant used for decoration at this time of year is mistletoe, which has white berries. It is often hung above doors as it is a tradition for people to kiss beneath it. Of course, Christmas decorations are not restricted to the inside of the home. In recent years, more and more of us choose to illuminate the outside of our houses and apartments with lights in the shape of Father Christmas, snowmen, icicles, etc. I shall end by sending Season’s Greetings to all the fabulous readers of this blog! Dear Kate, Season’s Greetings to you too & thanks indeed for posting such fabulous blogs – always very enjoyable & inspirational. Very much looking forward to reading more of them next year. Thank you very much for this post! I wish you a merry Christmas and a very happy new year, with many more fabulous posts to come! I really enjoyed your post and I’ll definitely share it with my students! Thank you Kate, for your interesting and informative blogs. I wish you a Merry X-Mas and Happy New (2018). Hello Kate. Thanks for writing this amazing post about X-mas I identified lots of new words for me. And what amazed me much is a mistletoe tradition. Except the wreath, we decorate our homes the same on New Year’s Day. Merry Christmas and Happy New Year. Thanks a lot. I’ve passed CAE (186/200) and I’m here to praise you as a fantastic blogger. Sometimes even I haven’t heard the information that you posted !!! May success always attend You, Dear Kate! Merry Christmas to You and Happy a New Year! Do be lucky! Thank you for writing a wonderful article Kate, I wish you a Merry Christmas & Happy New Year!